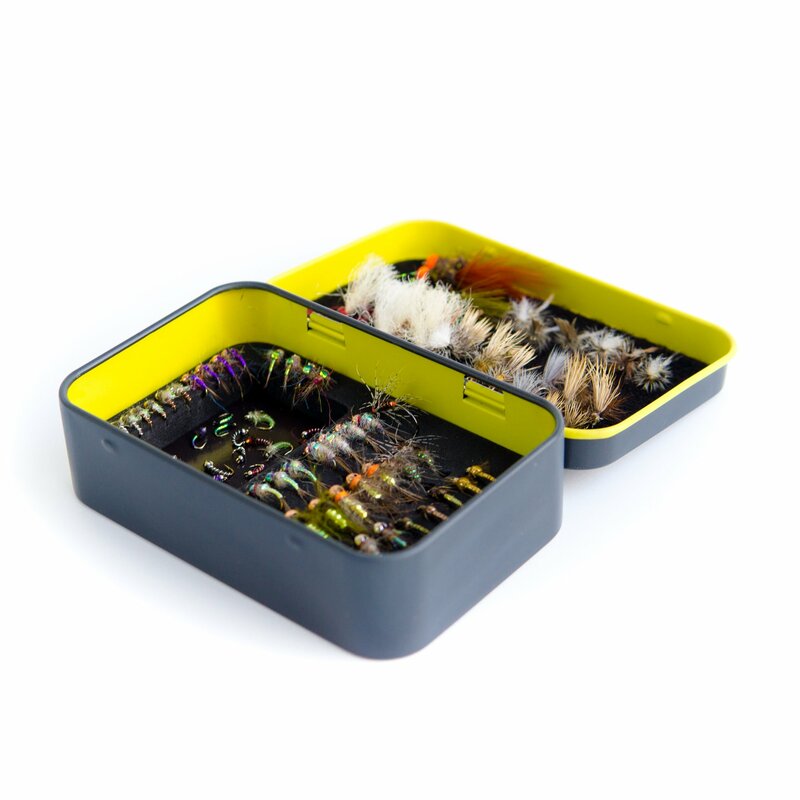 Products / Yakoda Fly Tin - Fully loaded with flies !THE PERFECT GIFT! 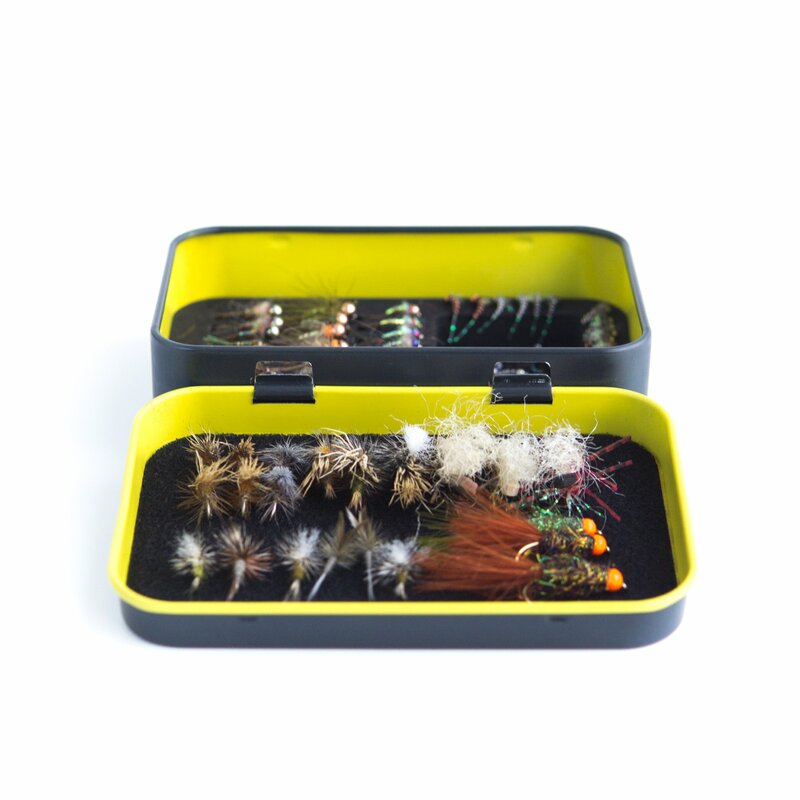 Yakoda Fly Tin - Fully loaded with flies !THE PERFECT GIFT! 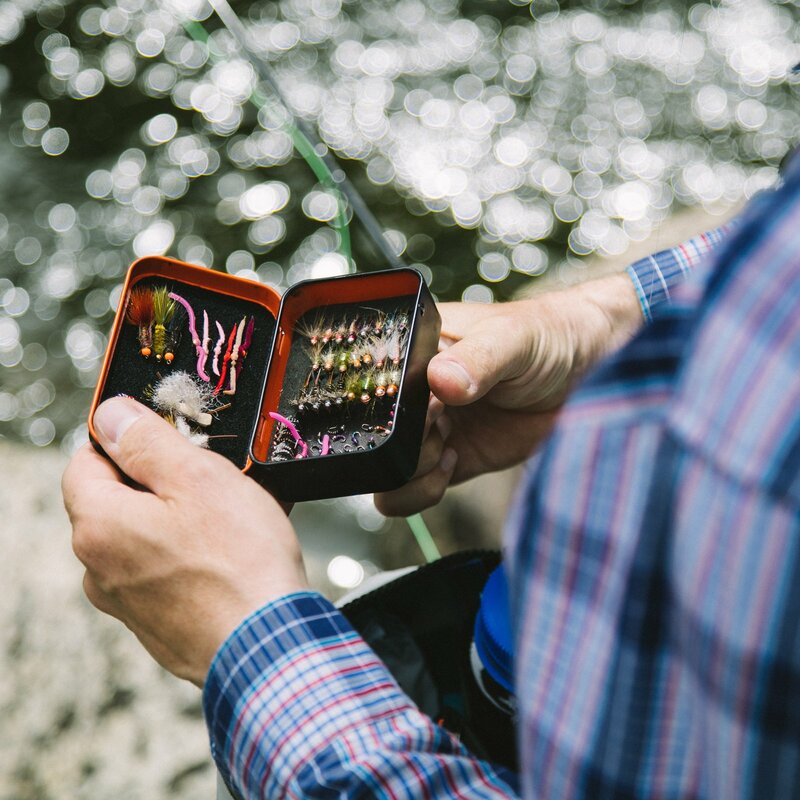 Fully loaded Yakoda boxes are an ideal solution for the passionate angler. 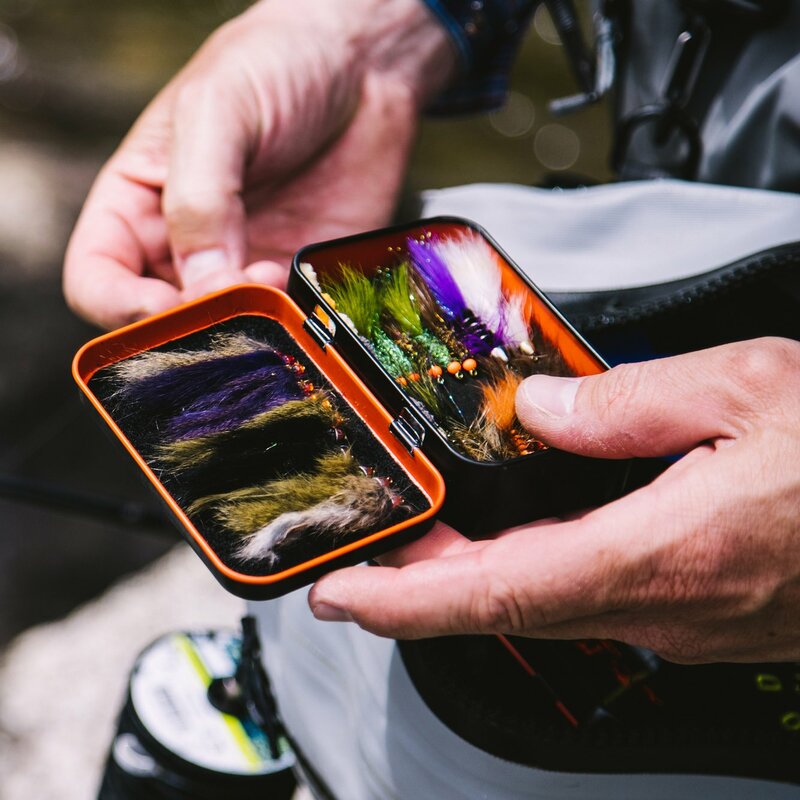 We now offer our selections of 20 or 40 premium flies, hand picked by our seasoned team and designed to cover a wide range of fishing conditions. - Foam & Magnet tray insert: Plenty of room for bushy dries inside the lid, 23 small to medium-sized nymphs or dries on the foam and micro midges in the magnet tray. 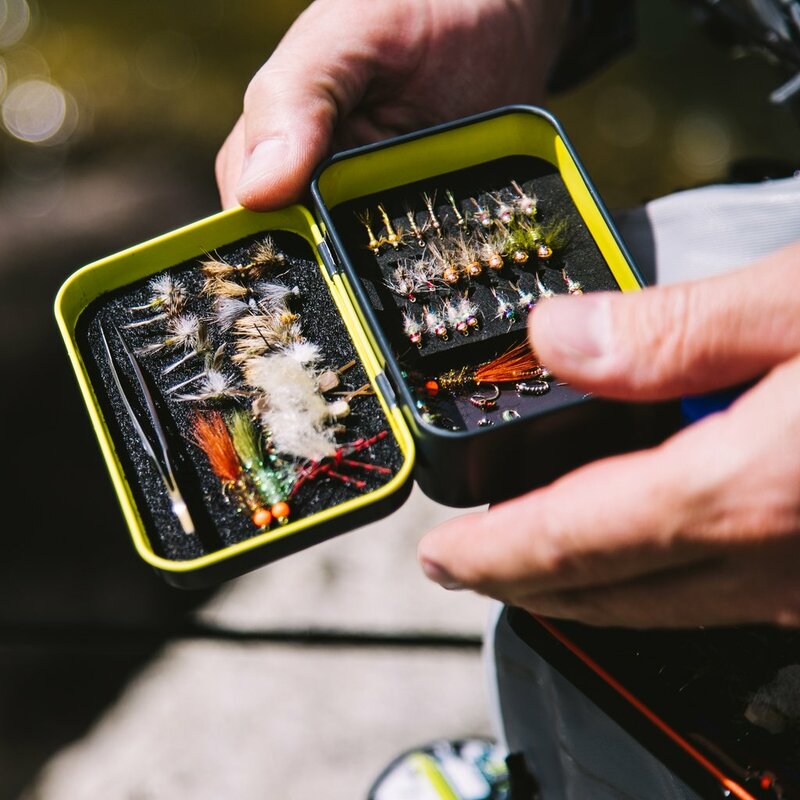 - Foam insert: Ideal for larger nymphs, wooly buggers, leeches and small streamers, or bigger dries like hoppers and stimulators, with a foam insert designed for larger hooks.